This week, President Obama announced plans to "normalize relations between" the United States and Cuba. This marked the most significant progress between the two countries since 1961, when the U.S. began what would become a unilateral embargo against Cuba. Pending approval, this post-Cold War "normalization" will mean a lot of things—the U.S. will remove Cuba from the list of state sponsors of terrorism, Cuban émigrés will be able to send up to $2,000 at a time to family members back home, and Cuba's citizens will have expanded access to Internet and other telecommunications. These are all big steps, of course, but what about cigars? When the U.S. and Cuba began their half-century long quarrel, cigars made in Havana were considered the very best in the world. 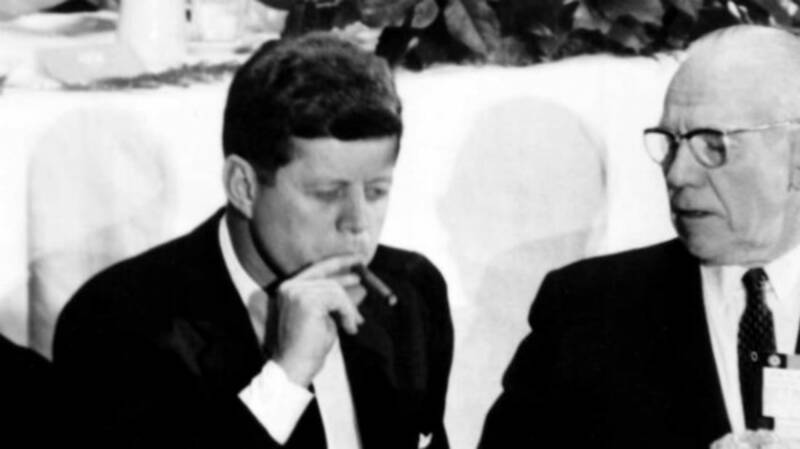 John F. Kennedy imported and hoarded 1,200 Cuban cigars before he signed the embargo, a gran corona display of executive privilege for the Presidente if there ever was one. Cuba's cigar industry was soon nationalized, starting what some believe was a decline in the product's quality. Other countries, flush with cigar-expert exiles, caught up to Havana's high level of craftsmanship. Despite all this, Cuba remains the spiritual home of the stogy, and Americans not being allowed to import their cigars only increases the allure. But don't go reaching for the cigar cutter just yet. This broad arrangement depends on Congress's approval. Should they vote in favor of lifting these sanctions, Americans will be able to import up to $100 worth of tobacco and alcohol products from Cuba at a time. Once and if that happens, expect to see Cubans fill your local cigar shop's humidors.